“What’s so great about it?” I hear you asking. Well, I’m glad you asked! There are a lot of things to love about this show. For me, it boils down to one. I think Craig Ferguson phrased it best in one of his Doctor Who specials: “It’s all about the triumph of intellect and romance over brute force and cynicism.” Doctor Who has a kind of optimism that a lot of science fiction is lacking. At the show’s very core is a sense of tremendous wonder at the beauty and majesty of the universe, a great respect for the preciousness of life, and a deep affection for even the most seemingly ordinary things in the universe (like Jellybabies). While Star Trek and Star Wars take place against a vast and impressive panorama of galaxies, the characters and plots almost seem to take those things for granted; Doctor Who, on the other hand, fills you with a sense of “Wow! Robots! Space! A supernova! Alien bacteria! That’s really neat!” Nothing is taken for granted. And that is incredibly beautiful. And don’t we all need more beauty and childlike wonder? Oh, it’s also full of fun, twisty-turny plots, hilariously quotable lines, attractive companions, and some of the most terrifying villains to ever grace the silver screen. It’s also not too unusual to laugh, gasp, cry, and be infuriated all in the same episode. Not sold at Home Depot. What you need to know for starters is this: The Doctor is a member of an alien race called the Time Lords. Their home planet is Gallifrey, and they are notable for their mastery of not only space, but time. They also have two hearts. Time Lords like the Doctor are extremely long lived, and they also have the ability to cheat death by regenerating every cell in their body when they are on the cusp of dying. This completely changes their physical body (sometimes including gender, although the Doctor has always been male as far as we know) and personality. That’s very convenient for keeping a series up for 50 years. 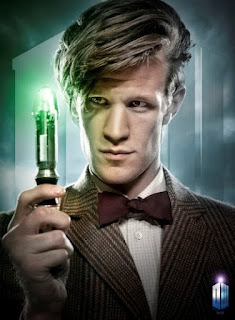 The doctor does not carry weapons, but he does keep a small device called a sonic screwdriver that seems to serve as an all-purpose tool, tricorder, and lockpick. Centuries ago, when he was a wee young Doctor, the Doctor stole a time machine called the TARDIS (Time And Relative Dimension In Space). The TARDIS is part machine, part living thing, and is as much a character in the show as any of the living people. It was fitted with a thing called a Chameleon Circuit which was intended to make it inconspicuous, but the circuit broke and the TARDIS is now stuck as a blue Police telephone box that is bigger on the inside. He uses it to travel space and time, but for some odd reason, he’s developed a bit of an obsession with planet Earth, and particularly the wee bit of it we call England. He generally travels with some sort of companion—usually, but not always, a human from Earth. Dr. #4! Collect them all! The Classic show premiered in 1963, ran until 1989, and featured Doctors 1-7. 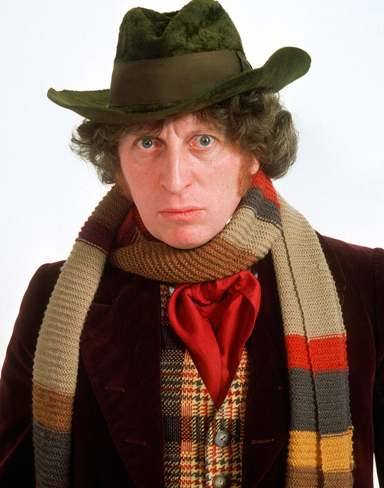 The most popular of these is the Fourth Doctor, played by Tom Baker; if any mention of the Doctor makes you think of the curly-haired guy with the really long scarf, you’re thinking of the Fourth Doctor. One of the hallmarks of the classic series is its exceptionally cheesy, MST3K-worthy special effects. Many of the villains and monsters of the time were just a guy under a sheet with stuff glued to it. In a way, that made things even better because it required a certain suspension of disbelief and willingness to just go along with the shenanigans. 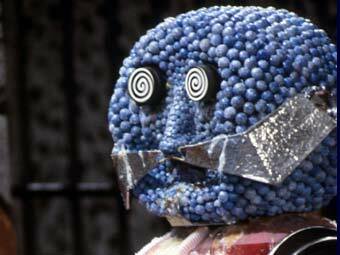 The good news is, it’s not necessary to watch all twenty six years of Classic Who in order to enjoy the show. In fact, I can catch you up to 2011 in just six minutes. 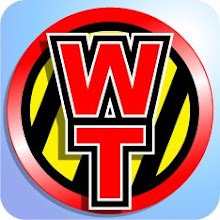 And when I say “I”, I really mean the Fine Brothers, who made this excellent Doctor Who primer which includes everything you need to know about the Classic Series, and a brief overview of New Who (although I really think you should watch that from the beginning—more on that later). Daleks know how to get the party started. 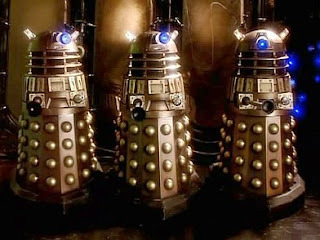 One of the Doctor's most persistent and popular enemies are the Daleks. An alien race from the planet Skaro, the Daleks manipulated their own bodies to the point that they're nothing more than a weak floppy thing that looks like a cross between a brain and a squid. They live inside a robotic shell with an eyestalk and a laser cannon, and they have a burning desire to EXTERMINATE all living things that aren't Dalek. In early adventures, they were defeated fairly easily by just walking up some stairs; that problem has now been solved through the clever application of some hover technology. 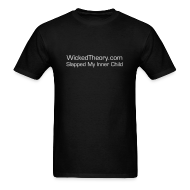 The menace behind them lies in their single-mindedness and unflappable persistence. They're so bad, the Time Lords faced off against them in the Time War, and although the Time Lords were virtually wiped out, like a bad infestation of bedbugs, Daleks just keep popping up. There are several different looks for the species, the most recent of which is a brightly colored, plasticky iteration that looks like it was designed by either Apple or Skittles. Extermination now comes in new flavors. Other classic villains of note are the Cybermen, a race of cyborgs who would like very much to improve you by shoving you in a metal skin and removing your emotions. The Sontarans are a warlike race of angry little guys that look like potatoes. Lastly, there's the Master, the Doctor's Moriarty; he's a Time Lord who's every bit as bad as the Doctor is good. Much of the old series is available on DVD; some episodes are available on Netflix streaming. No.8 - The Doctor is out. Although most fans (and seemingly everyone involved with the actual making of the show) are content to pretend that the entire plot of the 1996 movie never happened, the 8th Doctor himself is considered more or less blameless, and has appeared in a number of non-televised story lines, including novels, comic book adventures, and radio plays. The movie is available on DVD. In 2005, Doctor Who was revisited by the creative team of Julie Gardner and writer Russell T Davies, who was previously best known for the show Queer as Folk. This brings us to the 9th Doctor, and, in my opinion, the best place to start your Doctor Who viewing (if you are a beginner). Arguably, one could easily jump in at any time and enjoy the show. Except for the two-parters, most episodes are fully contained stories that can be fully enjoyed all by themselves. I don’t see a reason you couldn’t pick up with the season premiere on September 1 and not have a good time. 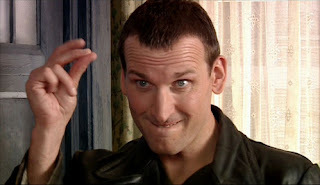 On the other hand, starting back with Christopher Eccleston’s first appearance will make that good time great. The character development that goes from Eccleston’s 9th Doctor to David Tennant’s 10th and Matt Smith’s 11th is part of the fun of the series. Not to mention, skipping these early episodes would mean missing some really great television. You can catch all of the new Doctor Who right now on Netflix streaming, and if you get started now, you can be fully caught up by the time the new season premieres Saturday night. However, if you’re looking for a quick, high-points suggestion of episodes, what follows is a guide to Doctor Who, from 2005 to now. Notable Villains: the Daleks are reintroduced despite the fact that the Doctor thought they were all killed in the Time War, something that happened prior to the Doctor’s current regeneration and also destroyed all the Time Lords; the “last human,” Lady Cassandra; the Slitheen, a crime family from the planet Raxacoricofallapatorius. No. 10 cuts his own hair. Sonically. 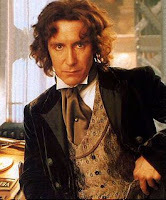 Notable Other Characters: Madame Du Pompadour (“The Girl in the Fireplace”); Classic companions Sarah Jane Smith and K-9 return in “School Reunion”, and later received their own spinoff show in the kid-friendly Sarah Jane Chronicles. Can’t Miss Episodes: “The Christmas Invasion” is a fun romp that establishes the 10th Doctor’s character; “The Girl in the Fireplace” is visually striking, funny, and romantic and all-around good television; the two-part finale “Army of Ghosts” and “Doomsday” is a heart-breaking end to Rose Tyler’s story. Notable other characters: Human nurse Joan Redfern in “Human Nature”; “Daleks in Manhattan” might be worth a peek for fans of the new Spiderman as it features Andrew Garfield. Note: In my personal opinion, this is the weakest season in the reboot. Freema Agyeman is a talented actress and had a lot of potential, but it seemed like no one really knew what to do with her as a companion and settled for making Martha into a light version of Rose, a choice that just did not work. Pacing is off, and the season finale suffers from a kind of bleakness and pessimism that is extremely contrary to the rest of the show, classic Who included. While actor John Simm puts in a fantastic performance as the Master, I’m not completely certain it’s worth suffering through the entire finale just to see him. Can’t Miss Episodes: “The Runaway Bride” is this season’s Christmas special, and introduces Donna Noble, my personal favorite companion ever, although that view is somewhat controversial; The two-parter “Human Nature” and “The Family of the Blood” shows us what the Doctor might have been like had he been human, and is a beautiful and poignant episode; “Blink.” If you don’t watch any other episode of Doctor Who ever, do yourself a favor and watch “Blink.” Fair warning, this is possibly the creepiest thing you will ever see on television. It may scare the willies out of you. Although the Doctor is hardly in it, you will find yourself immersed in the mystery and terror of the thing and loving every second of it. Companions: Astrid, “The Voyage of the Damned”; Donna Noble; River Song, “Silence in the Library”; Also everyone else you’ve ever met in the series, ever. Notable Villains: The Adipose, “Partners in Crime”; classic villains the Sontarans return in “The Sontaran Stratagem”; the Vashta Nerada, “Silence in the Library”; more Daleks. Note: This is one of my favorite seasons, partly because I adore the chemistry between David Tennant and Catherine Tate as the Doctor and Donna. Donna’s personality is one you either love or hate, however, so for some, this is a least favorite season. Still, I would personally suggest watching the whole season if you can; there are a lot of real gems in this one. Can’t Miss Episodes: “Silence in the Library” and “Forests of the Dead” is a two-parter that is not only great sci-fi, it introduces one of the series' most interesting characters, River Song, an archeologist who knows the doctor, but as they are both time travelers, they never meet in the right order; “Turn Left” in which we get to see not only how the world would be different without the Doctor, but how even someone very ordinary can be very important; and the two-part finale “The Stolen Earth” and “Journey’s End” in which all of the Doctor’s companions—and the casts of both spinoffs—join together to save the earth from the Daleks. If you can’t watch all of the specials, I suggest “The Waters of Mars”, because it is creepy and delightful and really serves as the climax of the 10th Doctor’s character struggle. You cannot miss the two-parter “The End of Time.” This one tells you more about what actually happened to the Time Lords in the Time War, brings back the Master, and marks the end of David Tennant’s run as the Doctor. 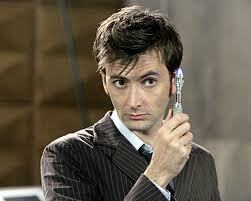 Tennant is one of the most beloved Doctors, so it’s a particularly heart-wrenching and beautiful farewell. Dr. No.11 is a hit at raves. 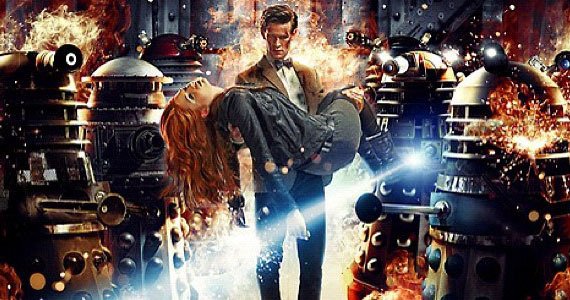 Note: The creative team behind the show changed with this season, and writer Steven Moffat, the mind behind previous episodes including “The Girl in the Fireplace” and “Blink”, takes over the show. It has a slightly different look, method of pacing, and mood than previous seasons. Can’t Miss Episodes: “The Eleventh Hour” introduces the new Doctor and his companions; “The Time of Angels” brings back River Song and furthers the mystery of the cracks in time; the two part finale, “The Pandorica Opens” and “The Big Bang” is a huge, complicated, semi-epic romp. Note: the two-parter “The Rebel Flesh” and “The Almost People” introduces the Flesh, a group of not-people made out of some malleable matter that turn into people. That’s hard to explain, but it’ll make sense if you watch it. 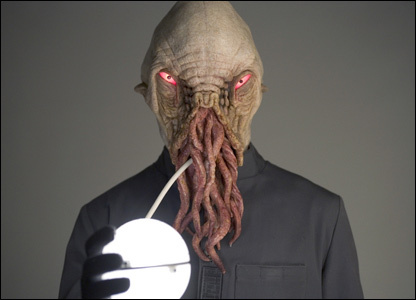 They also frequently turn up on lists of villains, but like the Ood, don’t really deserve it. Sure, some of them go bad, but really, the same could be said of all the humans in the show. Can’t Miss Episodes: In this season, it’s almost easier to tell you which episodes you can safely skip. In fact, that’s what I’m going to do. If you can’t watch the whole season, you could get the high points of the story without watching “The Curse of the Black Spot,” “Night Terrors,” and “The God Complex”. Two of those, however, are still really great episodes, and the remaining one is still pretty decent. Everything else, however, is essential to the extremely complicated and highly “timey-wimey” storyline that actually began building back with “Silence in the Library.” The Christmas Special, “A Christmas Carol”, is my personal favorite of all the Christmas specials, as it involves a flying shark, an opera singer, and the Doctor saving lives by teaching Dumbledore the meaning of Christmas. The rebooted Doctor Who episodes are available on Blu-Ray, DVD, or Netflix streaming. This image comes from the FUTURE! Technically, the season premieres on Saturday, but it actually kinda already started. This year's Christmas special, "The Doctor, The Widow, and the Wardrobe," actually aired in the US on actual Christmas, which was, frankly, pretty great. It's a sweet story with some pretty visuals. I haven't seen the upcoming season (obviously), so I can't say for sure that it won't be in some way direly critical to continuity, but it certainly felt like a simple, one-off story, so if you missed it, life will go on. BBC is also heightening our anticipation with a series of webisodes released one per day between August 27-31, so right now. These are called "Pond Life" and offer a brief peek at what the Doctor's been up to, what the Ponds are up to, and how their lives continue to intersect in timey-wimey ways. The new season of Doctor Who starts September 1 on BBC America. I'll be recapping the episodes so be sure to come back around here when the show kicks off!